As the morning [artillery barrage of April 22, 1915] wore on, Germans continued to devastate Ypres with shells from heavy guns and howitzers, blowing up roads and bridges. One five-foot, one-ton (42cm) shell landed in the Grand Place, killing about 40 soldiers and civilians in one blast. People streamed out of Ypres, "old men sweating between the shafts of handcarts piled high with household treasures ... aged women or wagons stacked with bedding or in wheelbarrows trundled by the family in turn." North of the Ypres Salient, German soldiers hunched in their front-line trenches sweltering in the heat. They couldn't release the gas. There was no wind. They waited. Noon came and went. Still, no wind! But finally, in late afternoon, the wind stirred, and some light breezes began to blow southward. The attack could go on! German artillery immediately began to bombard the French lines. Then they opened the valves of the gas cylinders, and the deadly vapors began to drift southward over No Man's Land and onto the unsuspecting French and Algerian troops. Those receiving the brunt of the attack (the French Territorials, Moroccans, and Algerians) began to flee backwards, sometimes falling, fainting, and vomiting. Many, frothing at the mouth or blinded, could not rise again and lay where they fell, writhing in agony. Some, terrorized and grasping their throats, jumped into trenches or shell holes, the worst possible places to take shelter because the chlorine, being heavier than air, settled in the lower spots. Those who could, ran southward in terror, trying to outrun the noxious suffocating, yellowish-green gas. Because the cloud was drifting south at five or six miles an hour, however, they could not. 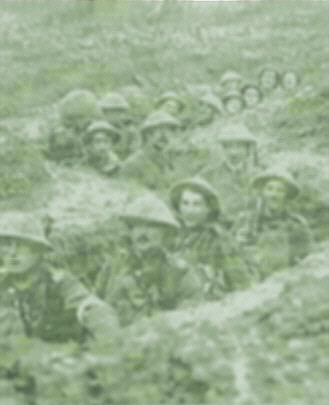 Soldiers of 13th (Royal Highlanders of Montreal) Battalion, some of the same troops who had been repairing trenches the night before, were among the first Canadians to notice the peculiar phenomenon — "a cloud of green vapor several hundred yards in length" — over to their left near the French trenches, and drifting slowly southward. They were not sure what to make of it. They weren't long in finding out. Fortunately for the Canadian troops, two medical officers, Lieutenant Colonel George Nasmith of Toronto and Captain F. A. C. Scrimger, a surgeon from the Royal Victoria Hospital of Montreal, were both near Ypres and quickly assessed the situation. Nasmith immediately began working on a chemical solution to the gas problem. Scrimger had a more immediate solution. He told men to urinate on their handkerchiefs or puttees (a long strip of cloth wound spirally around the leg for protection and support) and tie them over their nose and mouth. The action would save many. . .
One soldier of the Canadian Scottish (16th) Battalion, Private Nathaniel Nicholson, recalled seeing people running wildly every which way. "As a matter of fact, I saw one woman carrying a baby and the baby's head was gone, and it was quite devastating." Later, on 12 July 1915, Robert Kennedy [Father of the author] wrote to Walter Farmer of Cumberland about the fateful day. I will never forget the night of the 22nd of April. We, part of the ammunition column, had moved up to a farm near St. Julien on the night of the 21st, and spent the next day digging dugouts to sleep in, In the afternoon, when I had almost finished mine, we heard rapid fire and in a few minutes could see a haze of greenish yellow smoke rising up where we knew the trenches were. This was the gas which you have read so much about, but we didn't know It at the time. Soon the shells started coming over, searching for batteries near us big shells and little ones, filling the air with smoke, and making one continual roar Finally the gas reached us, but we were too far back for it to do any harm though it made our eyes sore and caused the horses to cough. We saw the Algerians coming back, but we didn't understand what was really happening. Just as we finished supper we orders to harness up and hook on. . . In the late afternoon hours of 22 April, the devastating effects of 168 tons of chlorine gas on front-line troops resulted in a critical gap in the Allied line, though no one seemed to know at the time exactly how great the gap was. The confusion was understandable. With telephone lines disrupted by heavy shelling (wireless radio was not yet in use), initial reports were conflicting. Some indicated that the French had lost all their guns (they had indeed lost 57) and had been driven backwards. Several messages around 7 p.m. indicated that the Canadian line had also broken and been forced back as far as St. Julien, northeast of Ypres. There were reports of a gap of 8,000 yards threatening the loss not only of Ypres itself, but all Allied troops still holding the Salient. There were many questions. How great, in fact, was the gap? Was a major rout in the offing? Had the Germans broken through the Canadian line as well? Was the whole Ypres Salient in jeopardy? The answers would take hours to determine. Whatever the case, however, one answer was obvious. The French had suffered a serious setback. To be sure, there was confusion at Mouse Trap Farm, headquarters of Major General Turner and his 3rd Brigade. Although not lacking in personal courage (he had won the Victoria Cross in the South African War and now concealed broken ribs to be in the thick of battle), Turner was unable to grasp the overall situation, and sent several erroneous messages to the 2nd Brigade and to Division headquarters. To be fair, however, it should be noted that his headquarters were now almost in the front line, and in the midst of shelling and disruption. Though few knew it, the Canadian line had not broken. Unknown to many on either side of No Man's Land, troops of the 13th (Royal Highlanders of Canada) Battalion were still holding their part of the front line north of St. Julien, immediately to the right of the gassed Algerian Division. At 5 p.m., at the first hint of trouble, their Commanding Officer, Lieutenant Colonel Frederick Loomis had ordered his men to stand to arms, and take battle positions. 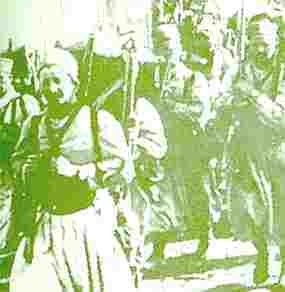 They would hold their ground as long as humanly possible, though, with the Algerians having been routed, their left side was now exposed. . .
As word spread about the gas, troops everywhere sprang into action. Several batteries of the Canadian Field Artillery opened fire on the German trenches. About two miles behind the 13th Battalion, the 10th Battery under Major William B. M. King was holding an orchard just 500 yards above St. Julien with four 18-pounder field guns. At about 7 p.m., King peered over a hedge and spotted the helmets of a large group of advancing German soldiers. They had already broken through the line formerly held by the fleeing Algerians just to the left (west) of the 13th Battalion. Worse yet, they could now easily swing in behind the Montreal Highlanders and cut them off. (Some already had, in fact, in wiping out Norsworthy's men.) King's men opened fire, but the Germans quickly dug in. Realizing that only a few isolated pockets of Canadians and Algerians were holding off the enemy, King called for backup support. King stubbornly continued to blast away, slowing the German advance. He was detaining them, but knew it was only a matter of time until his battery, too, would be overwhelmed. And every time horses hauled up ammunition wagons, they were immediately cut down by enemy fire, stranding the wagons. Work parties then tried to bring up some ammunition by hand. Finally, some help arrived in the form of 60 more troops, including a 19-year-old machine gunner, Lance Corporal Frederick Fisher of the 13th (Royal Highlanders of Canada) Battalion. Fisher and his four-man volunteer crew hurriedly set up their Colt machine gun, and time and time again drove back the advancing Germans. As Fisher's men were picked off one by one, others rushed in to take their place. Finally, however, he alone was left. Instead of retreating, he stubbornly lugged his gun forward, firing incessantly. 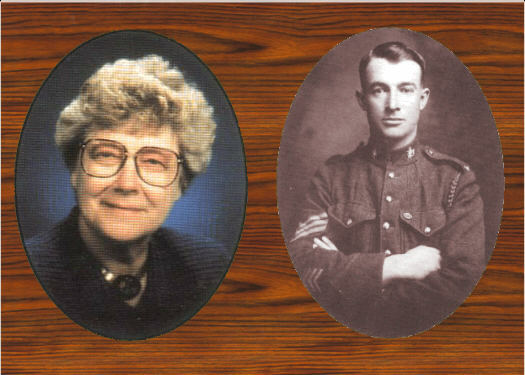 His defiance in the face of death brought him the Victoria Cross, the first Canadian in the war to receive the highest of all British military honors. Fisher, however, didn't live to receive it; he was killed the next day. But his heroic actions gave King enough time to pull his guns back to some surviving horses where the men were able to hitch up and retreat into the darkness. By 9 p.m., less than four hours after the gas had been released, the whole Ypres Salient (including the 50,000 British troops and their 150 guns), was in jeopardy. Then came reports that the Germans had taken St. Julien and Mouse Trap Farm (Headquarters of the 3rd Brigade). By 10:00 p.m., another report indicated that the Germans had moved even closer, taking Wieltje. Both reports, however, were erroneous. The 3rd Brigade was still holding its front-line trenches, though its situation was becoming increasingly precarious. In fact, the whole Canadian line still held, even though its four and a half battalions were badly outnumbered by two German brigades. But their initial 4,000-yard front now had another 4,000 yards of unprotected front line, which had been left vulnerable when the French and Algerians fled. 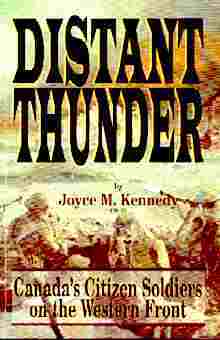 Joyce Kennedy's Distant Thunder can be ordered on-line through Amazon.com or Barnes & Noble or at your local book dealer.